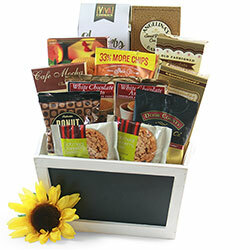 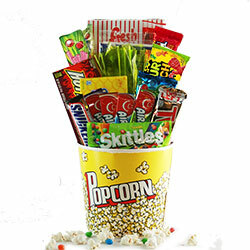 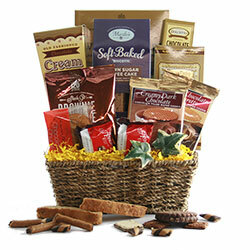 A popular gift choice for almost any occasion, our cookie gift baskets send your message in delicious style! 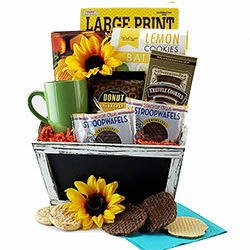 These cookie baskets are always a hit with the young and old alike! 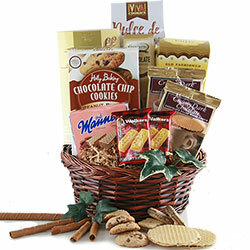 Our cookie gift baskets include selections from decadent Biscotti, Brent & Sam’s chocolate chip cookies, Dolcetto chocolate wafer rolls, Chocolate chip peanut butter cookies, Walkers Shortbread cookies and more! 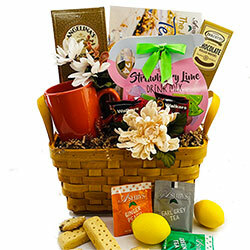 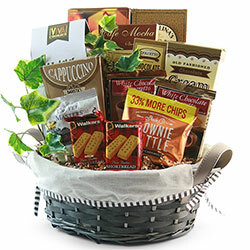 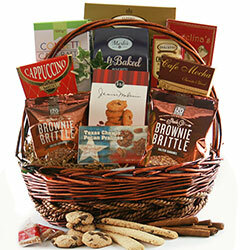 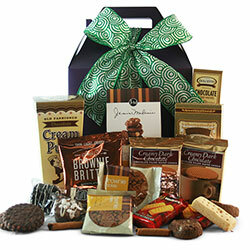 These special cookie gift baskets are also embellished with fine coffees and cocoas!